Is YouGov Surveys A Scam? No, But Is 80¢ An Hour Worth It? Is YouGov Surveys A Scam? There are a ton of legitimate ways to make money online ranging from starting an internet business to teaching English as a 2nd language via Skype. One of the most popular routes people go down is taking online paid surveys in their spare time. But while some survey sites like Swagbucks are legit, while others like Survey Momma are outright scams and most just don’t give you enough to make it worthwhile. What about YouGov Surveys? Are YouGov Surveys a scam or legit or just not worth your time? Let’s find out. What is YouGov Surveys about? YouGov.com have been around since the year 2000 and are based in the UK, though they’re open to new members joining from any country and boast a rather impressive 4 million members worldwide. There’s the YouGov app available for free download in the Google Play Store and the Apple App Store. The site and app work by joining up with large companies and government organisations to poll the general public on their behalf to help them keep an eye of the pulse of public opinion. Like most online survey websites, once a member you’ll receive email invites asking you to take an opinion poll on a wide range of topics. YouGov Surveys tends to focus more on asking for your opinions on political issues and current day affairs. YouGov is pretty easy to join with an option of either creating an account through your Facebook account or email address. I found this suprisingly straightforward compared to websites like Peanut Labs and PanelPolls which require email verification and a good hour or so filling out profile questionnaires. YouGov Surveys work on a points-based system where 1,400 points is equal to $1 and the typical survey pays out just 500 – 1000 ($0.40 – $0.80) for 20-30 minutes of your time. The minimum cashout limit is very high for this kind of rewards site. In the UK, you need a £50 minimum account balance before you can request a gift to be sent in the mail. There’s no PayPal or bank transfer option as far as I know and you should expect delays of up to 3-4 weeks. At $0.40 for a 30 minute survey, at most you can make $0.80 an hour as a YouGov member – far less than $7.25 an hour national minimum wage in the U.S. This is my biggest issue with YouGov. When you look at the time vs. money ratio you can hardly call this a worthwhile money making endeavour. While you might be able to make an extra $5 – $10 a month, you’re certainly not going to be able to make enough to help pay your bills or quit your day job. The YouGov app is rated an unimpressive 2.7 out of 5 stars in the Apple App Store and a 3,9 out of 5 stars on Google Play. While YouGov reviews are generally positive, there are a considerable amount of negative complaints too. These tend to be around a small handful of issues which could affect your potential earnings. With the cashout limit being so high and the surveys being both time-consuming and very low paying, it could take you a long time before you can request that giftcard you’ve had to work so hard for. “Surveys used to come in every week, then they slowed down. Now I get one every two weeks and every second or third is a prize draw, so a waste of my time. The surveys take about 15 minutes but can take less if the questions are too silly! And she’s not the only one. Take a look at Caroline’s review on TrustPilot. Rightly or wrongly, she accuses YouGov of being a scam that deliberately slows down the number of available surveys to make it nigh on impossible for you to ever request a pay out. On the whole I believe YouGov to be a legit survey company who do pay out, but there are a few complaints from users who have worked tirelessly accumulating points only to find in the end they can’t redeem their points. Is YouGov Surveys right for you? Maybe if you find yourself waiting an hour a day for a bus and have a lot of spare time to kill, then joining YouGov could be a good way to earn $10 or so extra each month, but don’t expect more than that. If you’re looking to make money than this then why not consider creating an online business for yourself? It’s a way more profitable way to spend your time online and could eventually replace your full-time income. I followed this free beginners training course as a complete newbie 4 years ago and I earn more than $6,000 a month as a direct result. 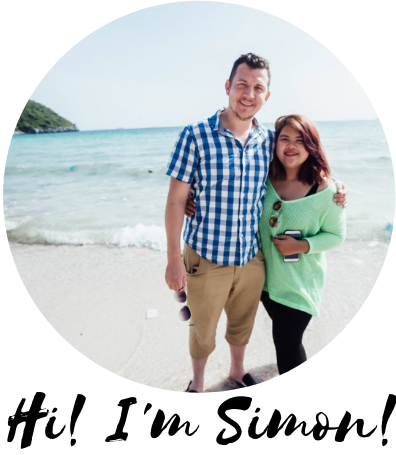 Hi Simon! Excellent points here. I appreciate that you were both thorough and concise. More people need to be reading these reviews, because it points out such a real negative side to YouGov and online surveys in general. There are a select few with some basic value, but ultimately they eat up valuable time that, as you said, can be used for far better pay. I’m really curious about what you’re doing online to make $6,000 per month. That’s really impressive! And also inspiring. If you don’t mind me asking, is that primarily from blogging? What are you doing to thrive in the online world, is there a lot of social media marketing that goes into it? Hey Jordan, yes the money I make is primarily from affiliate marketing. You can read my Wealthy Affiliate success story here but in a nutshell, I accidentally stumbled across Wealthy Affiliate after falling for many scams and it was the first time I’d ever seen a simple step-by-step that stuck to the practical basics without the hype and over-inflated promises. I am still amazed at what I’ve been able to accomplish though this training. I volunteer here in Thailand full-time and I’m only able to do this because of my online businesses. Just yesterday I was cleaning our ministry van and I got two emails within 30 minutes of each other telling me I made new commissions – only an internet business can do this! I can recommend Wealthy Affiliate because I’ve been a premium member for over 4 years now and I’ve seen the results. I haven’t done anything you can’t do too as long as you’re willing to work hard and be committed.